Over the course of this multi-part series, we will take a look back at the greatest upsets, comebacks and victories of Brazilian legend Antonio Rodrigo Nogueira’s 16-year MMA career. In part four, we looked at his fights with Semmy Schilt and Dan Henderson. In part five of this career retrospective, we move on to the end of the Brazilian’s title reign, the start of his rivalry with a heavyweight who would come to be known as one of the greatest of all time and one of Nogueira’s signature performances. Russian combat sambo champion Fedor Emelianenko would put an end to Nogueira’s 13-fight winning streak and take the Brazilian’s Pride heavyweight title on March 16, 2003. It was a passing of the torch to the heavyweight super prospect. That was the last time Nogueira would be ranked No. 1, but it was not the last time he would be considered one of the best heavyweights. 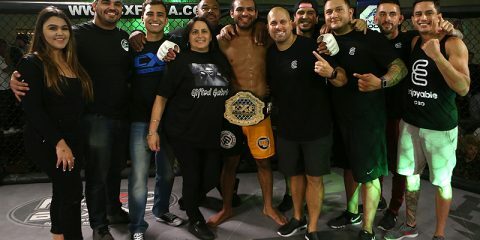 After suffering a unanimous decision loss to Emelianenko, Minotauro jumped right back into the thick of the division in his next bout by defeating former UFC heavyweight champion Ricco Rodriguez in a controversial split decision. 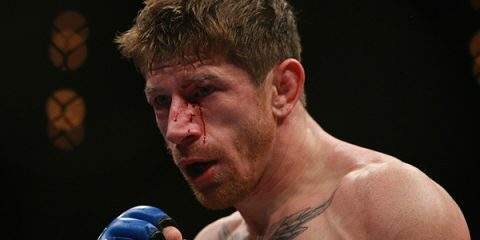 The fight showcased the wrestling and control of Rodriguez against the fight-ending attempts of Nogueira, the latter presumably swaying the judges’ decision. Nogueira fought for the Pride interim heavyweight title in his next bout, replacing the champion who beat him just two fights ago. It was Nov. 9, 2003. 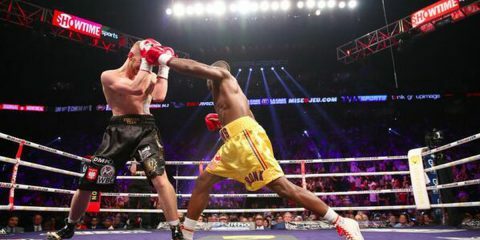 The Pride interim heavyweight title fight was a clash of styles, pitting the submission skills of the former champion against the knockout power of Mirko “Cro Cop” Filipovic. Undefeated in his MMA career, Cro Cop had made a name for himself in Japan with his patented high-kick knockouts. With the saying “right kick hospital, left kick cemetery,” Cro Cop instilled fear in his opponents, threatening with a massive left high kick at any moment. The Croatian had defeated his past three opponents with kick knockouts — a body kick that dropped Heath Herring, a heavy left kick that floored Igor Vovchanchyn and a glancing high kick and finishing blow that turned Dos Caras Jr. into a heap of muscle and flesh crumbled against the ropes. The fight started quickly. Nogueira made sure to keep his right hand high to defend the left kick. A Nogueira takedown attempt was met with a Cro Cop sprawl, but Nogueira still pulled the Croatian into the guard, not wanting to stand with the superior striker. Nogueira controlled the wrists of Cro Cop early in the round, looking for an opening to attempt a submission. Cro Cop did a great job of stifling the bottom game by staying tight on the former champion. With just four minutes having passed in the fight, Cro Cop was able to get back to his feet, to the applause of the crowd. Cro Cop attacked the Brazilian’s right side, landing heavy left kicks to the arms and body of the underdog. With his left leg planted, Cro Cop threw off Nogueira’s takedown attempt and waved the downed fighter up to his feet. Cro Cop was landing at will. Another hard left kick landed to the body, sending Nogueira tumbling while looking desperately for a takedown. Cro Cop chased the former champion all over the ring, landing a follow-up left and a big soccer kick in a predatory moment from the Croatian special forces agent. A frustrated Nogueira couldn’t get his foe to the mat and was being punished every time he failed. Another gut-wrenching kick landed, putting Nogueira in desperation mode. Cro Cop pressed in during the final seconds of the round. The striker threw a heavy left high kick that grazed the face of the Brazilian. The shot put Nogueira down at the final bell as Cro Cop landed another punch to finish out the round. After the first round, the fight looked like it was over. A renewed Nogueira started round two fighting inside to get underneath Cro Cop in the clinch. Nogueira finally put the Croatian on his back, quickly moving from side control to mount as the crowd began cheering. Aggression was a tactic that Nogueira had used to submit past opponents, and it was a trait he used efficiently against Cro Cop. Moving to mount, Nogueira landed short, heavy shots while posturing up high on Cro Cop’s chest. The Brazilian kept Cro Cop in place, baiting the Croatian to reach his hands up while he continued to land peppering punches. Cro Cop bucked to get out, but Nogueira rolled with the reversal attempt, putting his leg over the head of Cro Cop and wrapping up the right arm. Nogueira finished the armbar, stretching the arm with his belly down to win the Pride interim heavyweight title. Nogueira fell to the mat in celebration while the fans cheered on his amazing heart and skill. The camera panned to a sidelined Emelianenko, who simply gave the thumbs up for what was another legendary performance. Nogueira entered the 2004 Pride Heavyweight Grand Prix as one of the favorites, fighting and beating Hirotaka Yokoi with an anaconda choke submission that he locked up in the second round. Nogueira met Heath Herring in the second round, a rematch of their inaugural heavyweight title bout three years prior. Nogueira locked up an anaconda choke after another stellar performance against the American, moving him into the semifinals of the tournament. In part six of this career retrospective, we’ll look at how the Brazilian fared in the last night of the tournament.